For most Filipino Americans, being raised in Long Beach usually meant you had Navy blood. For Emmanuel “E-Man” Coquia, it was his father who served in the Navy and was raised by a mom (who family members call “Tita Jane”). He has two younger brothers: Virman and Michael. 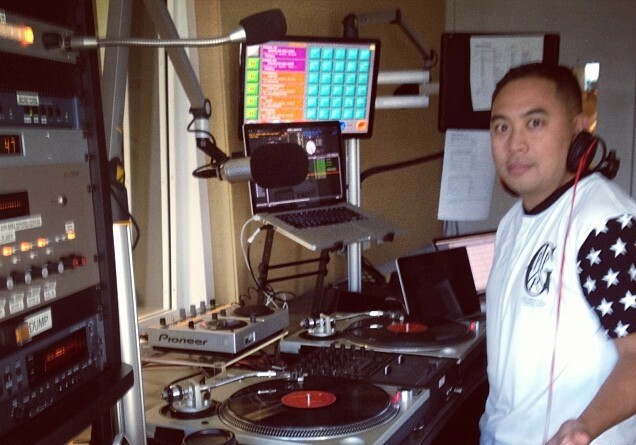 What started as a “typical” Filipino childhood and teen life in Long Beach, California reached a turning point in the mid 1990’s as E-Man took his Djing to another level. CHEERS! 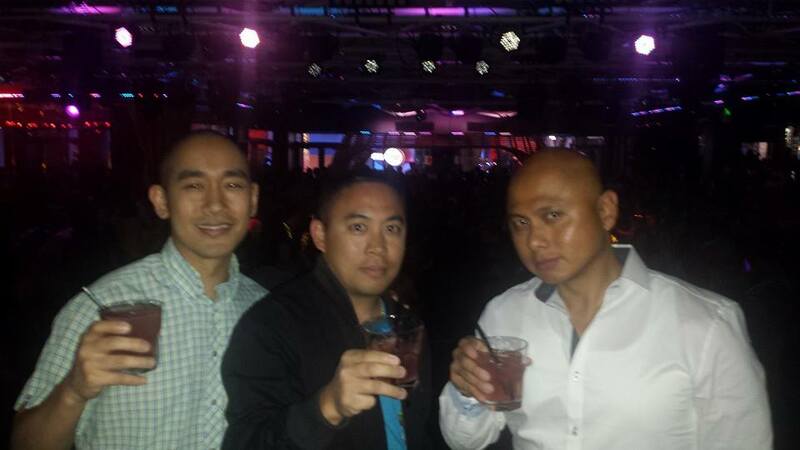 DJ E-man (middle) and cousins Dean and Neil Estrada (right) celebrate after the Pacquiao fight. HE’S EVERYWHERE! 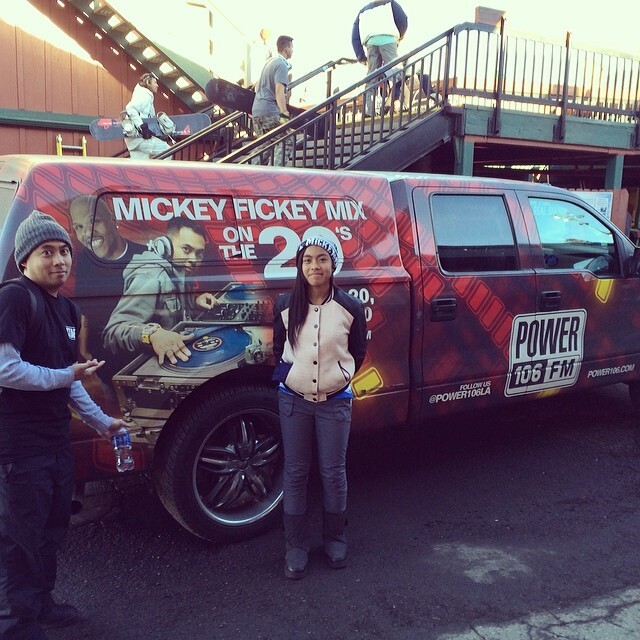 E-man and his daughter pose next to one of many Power 106 vehicles that have E-Man’s face. Today, DJ E-Man does Power 106’s morning show with the famous “Big Boy.” The show has been #1 in the area for numerous consecutive years. In addition to being the morning show DJ, E-man is the music director and assistant program director for the station. Additionally, he has a full plate with various DJ spots at nightclubs and concerts around the world, celebrity parties, and his famous Power 106 basketball team that visits local high school campuses. E-Man knew that talent and hard work alone wasn’t enough. Like most successful careers, it took key relationships in the music industry to reach new heights. 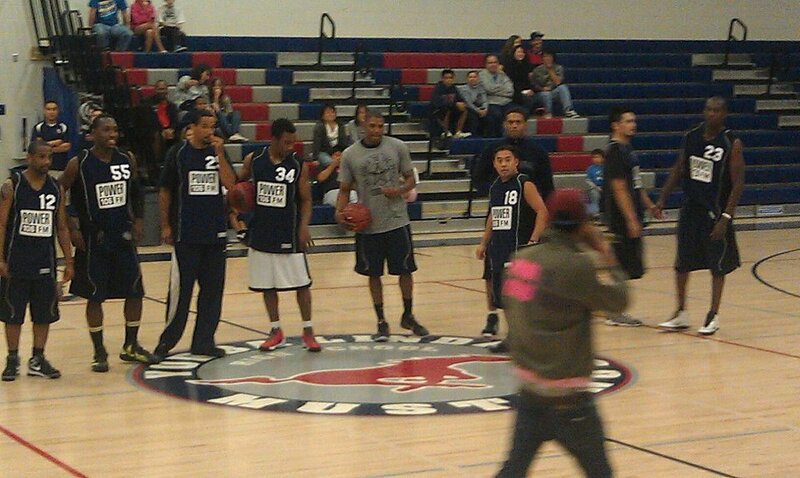 E-Man and the Power 106 team at Yorba Linda High. In the Power 106 studio working his craft. His two younger brothers Virman and Michael are enjoying their own success as DJs in different capacities. Virman is a member of the famous “Far East Movement” while Michael is the music director and DJ on 105.1 Jamz along various gigs in Arizona and in the clubs. Aside from DJing, E-Man’s impact on the music industry is huge. Many artists know how he can make a song an instant hit from simply including it in a regular rotation of songs. Listen to E-Man share his story at FACCOC’s 6th Annual Secrets to Success on April 16th! E-Man has had a tremendous impact not only within the Fil-Am Community, but has truly had an impact globally. He is a very powerful and influential person in the Radio and Hip Hop Community. A true master of music on the 2 turntables, E-Man takes the crowd to the highest peaks at the hottest clubs. He consistently takes his musical genius into the private parties of Hollywood A List celebs along with world wide appearances throughout the year. The best thing about E-man is that even with all of his success, he still maintains a down to earth and humble personality. More Power to you cuz. No pun intended.